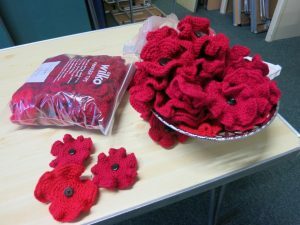 Back at the start of the year an appeal went out to the Ladies of Castle Green WI who can knit or crochet to make poppies for the centenary events to commemorate the end of World War 1 this November. 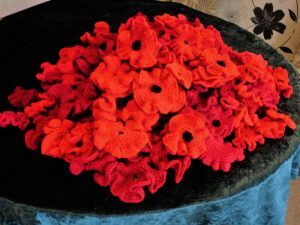 We published various patterns and many of you embarked on making vast quantities of lovely poppies. 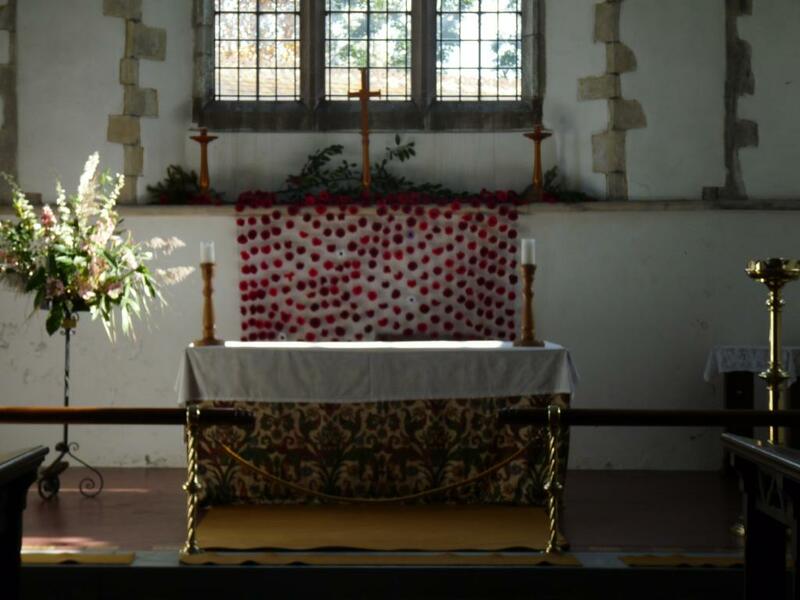 Mary Wheatley says that around 30 of your poppies were used in a floral display at the Kent Show in July and that they are now part of a display in Rochester Cathedral. Click here and scroll down to see a photograph of this display. A second small batch were delivered to C and H Fabrics in Canterbury and these are now in various displays around Canterbury. 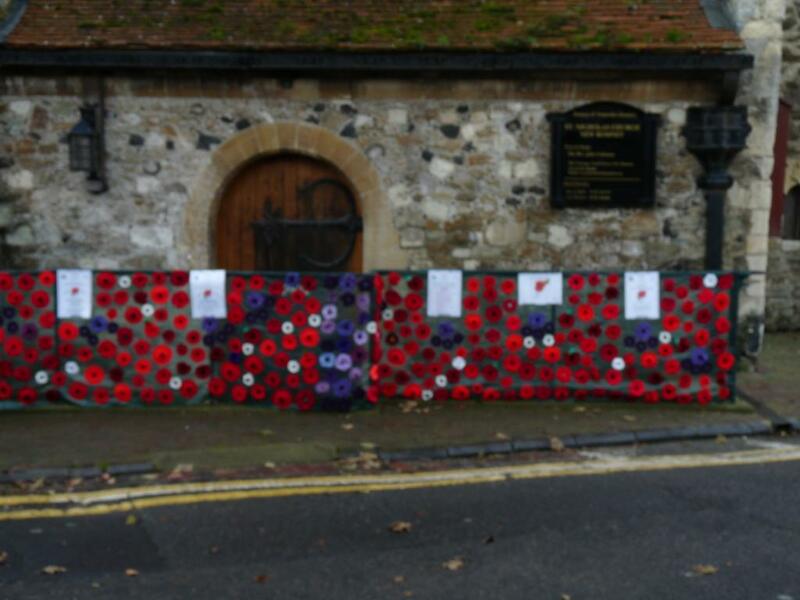 Another batch went to Folkestone and Hythe District Council and will have been used in displays around our area. 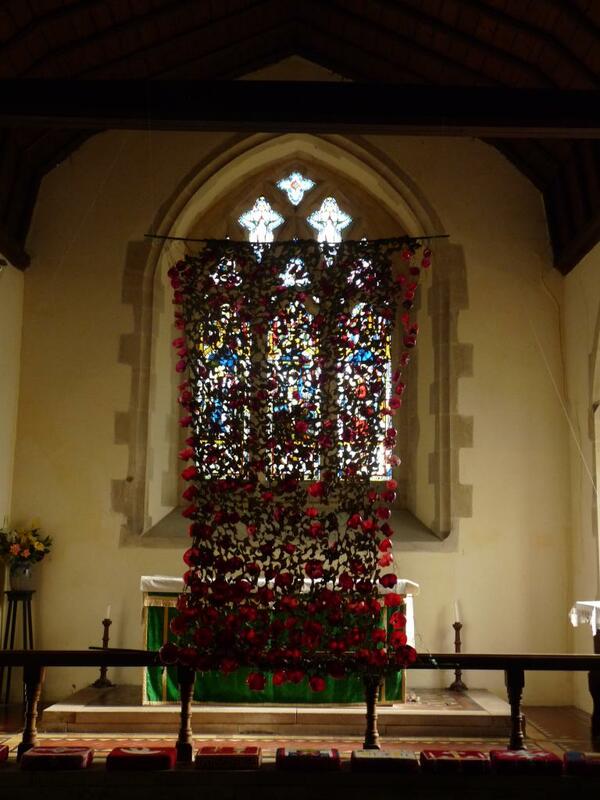 Kate passed on well over 600 poppies to the 1st New Romney Scout Group and these have been used in various displays across Romney Marsh for their campaign to “Cover the Marsh with Poppies”. 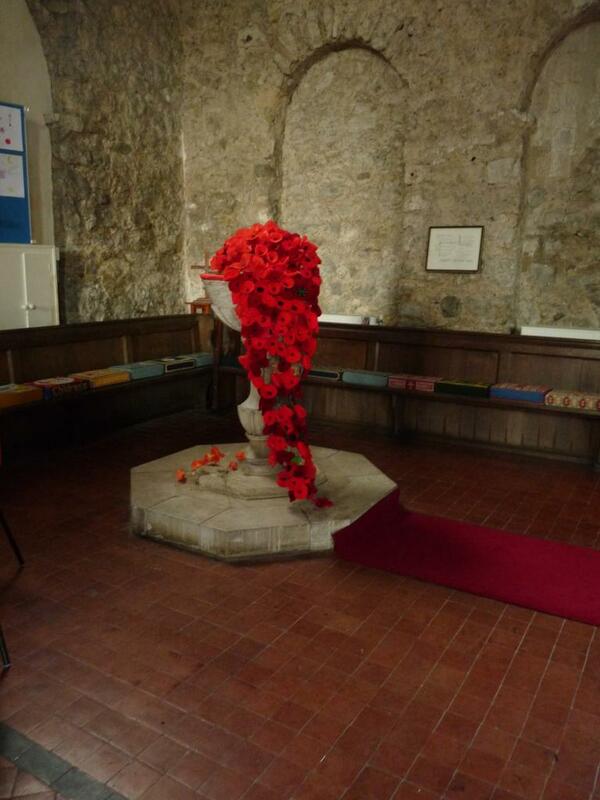 Click here to see a report about the Scout’s poppy activities. 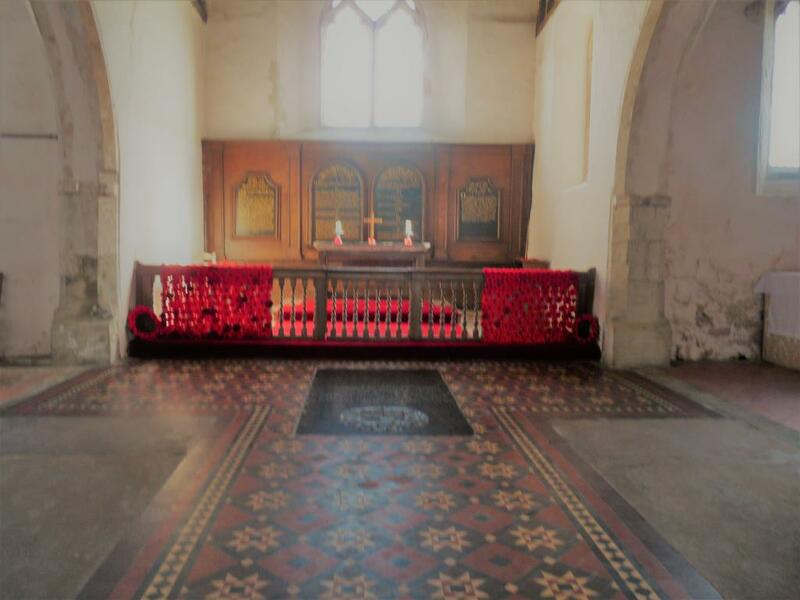 Today Kate has visited some of the churches on the marsh and has taken these lovely photos of the moving displays that have used your poppies . Just click on any image below to view the gallery of full sized photos. 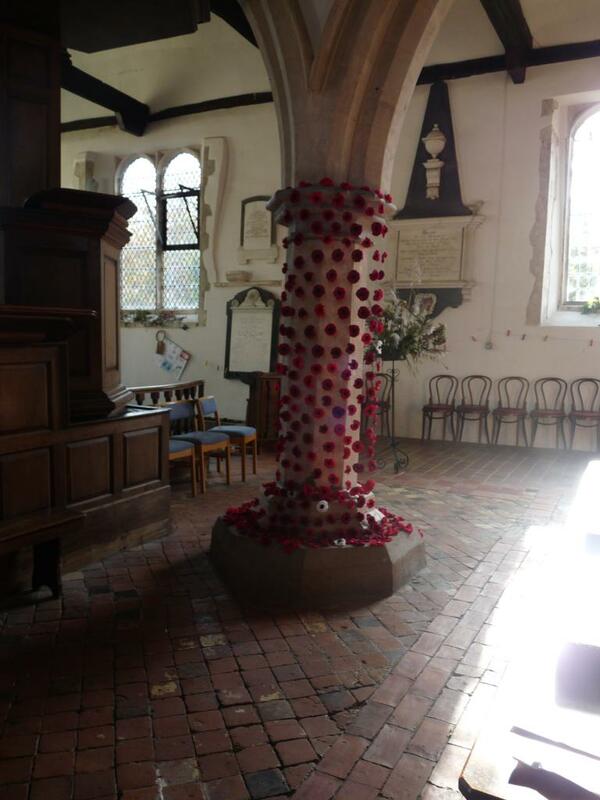 Thank you so much for contributing to our call for Poppies for our Let’s Cover the Marsh in Poppies project. People in the local community were so generous, we exceeded our original target and were able to make sure there were displays in all the venues requesting them. The project was an amazing success, we truly could not have done it without the generosity of groups like your own who freely donated time and materials. 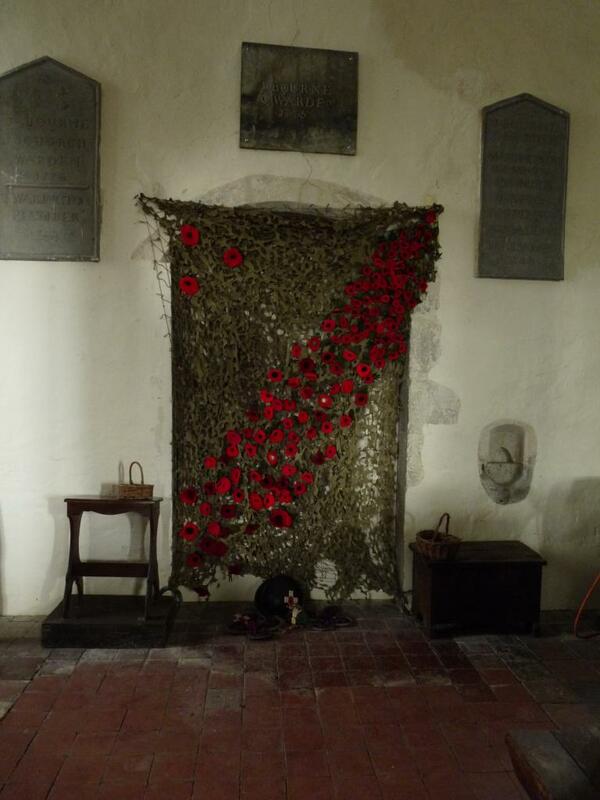 We are currently compiling a photo gallery of all the amazing work which went into the project, it should be completed by Christmas – see our Scout website www.1stnewromneyscouts.org.uk – POPPIES Please feel free to add your own Poppy Journey if you would like to. Very many thanks for supporting us”. So very well done everyone who took part !